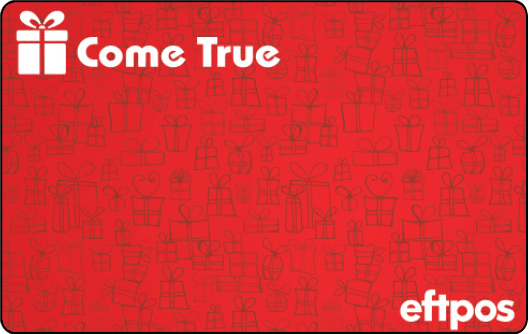 An eftpos gift card is like one hundred little gifts all wrapped into one. Which is why this card features approximately 100 pictures of gifts. Please don’t count because we didn’t. In all seriousness, this is the gift, reward, incentive we’d all like to receive. Perfect for incentivising staff or sales. Or incentivising sales staff. Whatever your objectives are, there’s (probably) an eftpos gift card for that! So. what goals have you got to kick? Fill in the enquiry form and we’ll get the ball rolling.